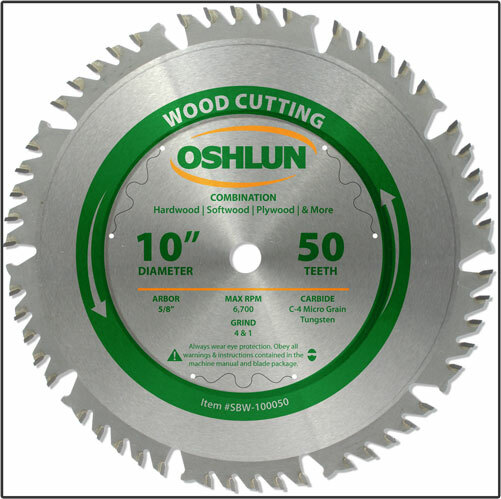 Our combination blades have been designed for ripping and crosscutting all types of hardwood, softwood, particle board, and plywood with miter, chop, table, and radial arm saws. The 4 & 1 tooth grind features 4 alternate top bevel teeth and 1 flat top raker with an anti-kickback tooth design. A large gullet space separates each tooth set and helps insure proper chip ejection. 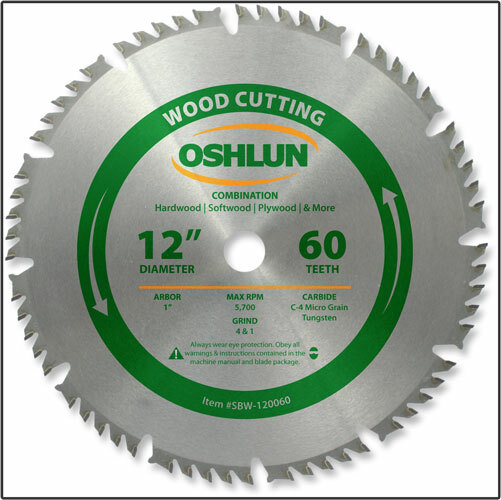 The special tooth configuration makes these blades great for both ripping and crosscutting applications. All trademarks and tradenames are property of their respective owners. Oshlun, Inc. reserves the right to make changes in product look, design, and specification without prior notice. Product images are for illustrative purposes only and may not represent the actual product look or design. Copyright© 2019 by Oshlun, Inc. All Rights Reserved.